You can only survive a few weeks without food and just a few days without water. But without air, you probably won’t last a few minutes. The link between life and breath has always been clear, but it took modern science to reveal the mechanics at the cellular level. Food and water feed our cells, but they need oxygen to break it down. Cells also excrete another gas, carbon dioxide, as waste. The body’s circulation of these gases is called respiration. If respiration is compromised, cells get weak, sluggish, and may die prematurely. Lungs are the organs best associated with respiration, but the process is crucial for all our cells. The better our cells can breathe, the healthier our whole body. Our lungs drive respiration in two ways. First, they act like bellows, mechanically pumping air in and out of the body. Next, they transfer this air into and out of our blood with microscopic sacs called alveoli. With each breath, alveoli deposit oxygen into the blood and pull carbon dioxide out of it. We have hundreds of millions of alveoli facilitating this gas exchange. If one took all the alveoli from an adult pair of lungs and spread them out, it would equal about the size of a tennis court. According to Dr. David Beuther, a pulmonologist at National Jewish Health, lung diseases typically target one of these two functions. Asthma, for example, is a bellows problem: airways become tight and inflamed, making it harder to inhale or exhale. Emphysema, a condition marked by scar tissue in the lungs, destroys alveoli. “You actually get destruction of the air sacs, so your tennis court gets smaller and smaller in size,” Beuther said. Chronic obstructive pulmonary disease, pneumonia, and other lung-related issues all impair our breathing in different ways. Various heart conditions can also leave us short of breath. But Beuther says you can have a perfectly healthy heart and lungs and still be gasping for air. “Many times, it’s just because people are out of shape,” he said. The lungs don’t work alone. Air exchange at the cellular level requires a full-body infrastructure: tiny blood vessels that can reach each cell. If the infrastructure deteriorates, so does cell function. You may not notice the deterioration until you’re required to do something particularly strenuous. When you ask more from your muscles than they’re used to, they need more air circulation for the extra exertion. This is what causes all the huffing and puffing—your lungs are pumping harder to meet the demand of struggling cells. Your lungs are working overtime, but respiration may not be able to reach the cells because there isn’t enough infrastructure to service them. “Imagine a neighborhood full of houses, but no streets. Trash builds up, and packages don’t get delivered,” Beuther said. If you regularly engage in strenuous activity, both your body and breathing become more efficient. Exercise doesn’t just strengthen muscle tissue; it improves cellular respiration because working muscles develop a more intricate network of blood vessels. If we’re subjected to enough strenuous activity we begin to lose fat, and it’s the lungs that usher most of this fat out our body. Contrary to popular belief, fat doesn’t exit the body via the colon or miraculously turn to muscle. Instead, it breaks down into basic elements and we exhale it. In a 2014 study, researchers found that when a person burns off 22 pounds of fat, more than 18 of those pounds are expelled as carbon dioxide. The rest leaves as water. Shedding excess fat also makes it easier to breathe. Beuther says fat can constrict the space that lungs need to fully expand, thus confining our bellows. Every cell needs oxygen, but those in our brain need the most. Brain cells use about three times the oxygen of muscle cells. If the brain gets just a little less oxygen than it requires, it can result in poor judgment, lack of coordination, and dementia. 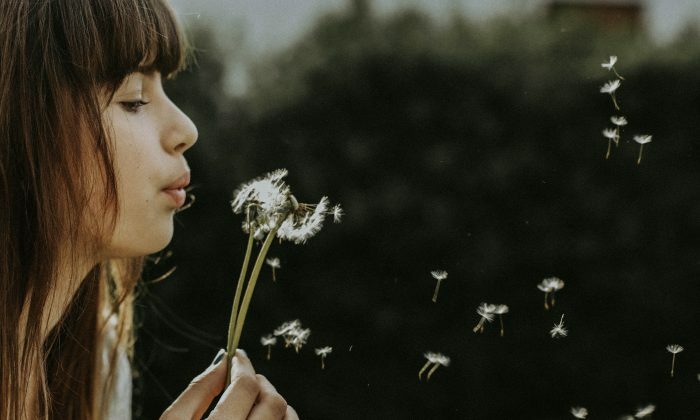 Since the brain is so sensitive to oxygen levels, it’s no wonder that breathing is also intimately tied to our emotional state. A deep breath is often the first step we take in calming ourselves down. Short, rapid breaths may shape our mindset, too. Dr. Alex Tauberg, a chiropractor and rehabilitation specialist in Pennsylvania, says people who suffer from anxiety often have abnormal breathing patterns and tend to hyperventilate. Evidence suggests that these quick, shallow breathers may be physically triggering their emotional state. Better breathing may be able to undo it. “There have been some studies that show that when you retrain someone’s breathing patterns, you can reduce their anxiety,” Tauberg said. Emotions, in turn, may also influence our breathing. In ancient Chinese medicine, a philosophy in which each organ is associated with a different emotion, the lungs are tied to grief and sadness. Grief is a natural reaction to pain and loss, but it can also be hard on the body, and the longer we hold on to it, the more damage it can do. Modern science has only recently come to understand how emotional stress can impair the immune system, but it’s an idea Chinese medicine has understood for thousands of years. In the online magazine NOVA, Australian acupuncturist and Chinese herbalist Olivier Lejus describes how this lung-grief relationship manifested in his own life following the death of his father. Lejus flew to France to attend the funeral, but fell ill as soon as he arrived. He spent most of his trip in bed with a respiratory infection. Environment: People have long recognized that fresh, clean air is essential to good health, and the evidence to support this idea has never been more clear. That’s why activities like smoking and huffing solvents are generally frowned upon. But bad air isn’t just a matter of our personal habits. Much of our modern airspace is filled with substances that are toxic to our cells. Emissions from industry and vehicles, synthetic fragrances, and the chemicals off gassing from numerous products in our home and office all negatively impact the air we breathe. “If you look at cities with poor air quality, the health of our lungs suffers. We need to think of lung health as a public health issue,” Beuther said. For good air, seek plants. Plants are natural breathing partners because their respiration compliments our own: They take in carbon dioxide and excrete oxygen. If you can’t get in the woods as often as you’d like, invite some spider plants or mother-in-law’s tongue indoors. These hardy specimens require little care, and are also some of the best growing air cleaners. Sit Up Straight: Lung function typically declines by our 30s. This may be in part because of our worsening posture. According to Dr. David A. Shapiro, a chiropractor at Complete Spine Solutions in Georgia, our upper spine, the area that surrounds the lungs, usually changes in shape as we age. As a result, we take shorter, shallower breaths. We get winded faster than when we were younger, because our body has to work much harder to get the same amount of oxygen to the blood. Exercise Your Lungs: To increase lung capacity, fitness expert Carol Michaels recommends stretching to open the chest, and putting your bellows through a bit of resistance training. Place a hand on your abdomen. Inhale through the nose while gently pushing the abdomen out. Exhale slowly through pursed lips while gently pushing inward and upward on the abdomen with your hand, to help empty the lungs completely, pulling the navel to the spine. “In addition to strengthening the abdominal muscles, it will help regulate breathing if one becomes short of breath, particularly during an activity. This type of breathing will also help one to get through an activity where one experiences shortness of breath,” Michaels said. Beuther believes that the most important thing for keeping lungs healthy is to stay active.